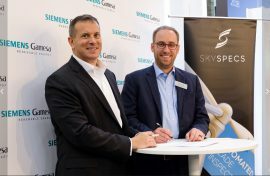 Siemens Gamesa Renewable Energy and SkySpecs have signed an agreement for autonomous drone inspections of Siemens Gamesa wind turbine blades both onshore and offshore. 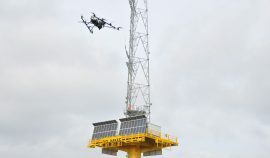 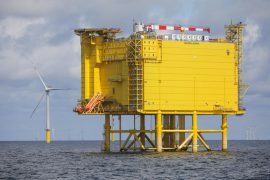 DEME Group’s offshore wind division is looking into the possibility of using drones to inspect the foundations of the offshore wind turbines for corrosion. 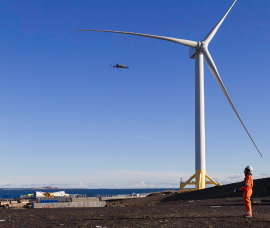 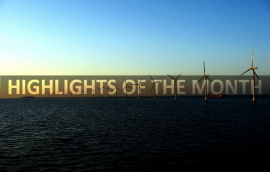 Danish operator of offshore wind Service Operation Vessels (SOV) Esvagt has added drone inspection to its list of offered services. 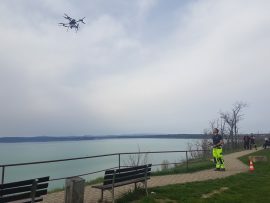 SgurrEnergy, part of Wood Group’s clean energy business, has introduced unmanned aerial vehicles (UAVs) to its existing inspection service offering after obtaining the Civil Aviation Authority‘s Permission for Aerial Work. 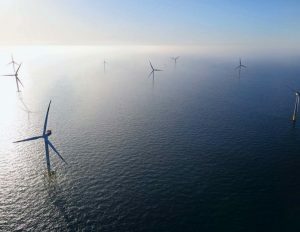 The UK government is investing GBP 26.6 million to build micro-robots, including flying and underwater versions, which, among other uses, will inspect and maintain offshore wind turbines. 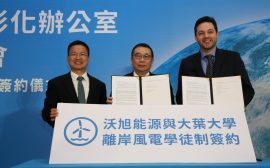 Ørsted has signed a cooperation agreement with the Dayeh University in Taiwan to jointly develop an offshore wind apprenticeship program. 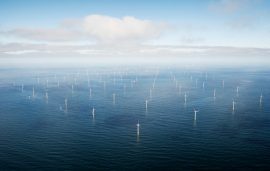 Esvagt and Wind Power LAB, an Artificial Intelligence and blade specialist, have teamed up to offer a series of services that are said to support the control of offshore assets and expand their lifetime without any weather risk for the owners. 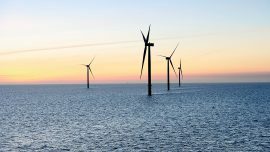 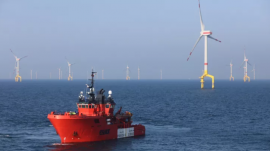 Offshore Wind Innovators has launched a new innovation challenge developed for Dutch small and medium-sized enterprises (SMEs), start-ups and students to offer innovative offshore wind solutions to local corporates. 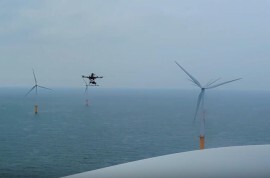 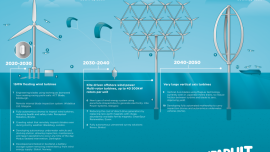 Service robots, drones, automated motherships and 40-rotor turbines could become the norm for offshore wind farms by 2050, Offshore Renewable Energy (ORE) Catapult predicts. 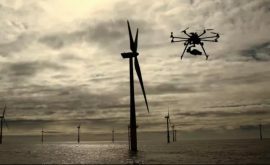 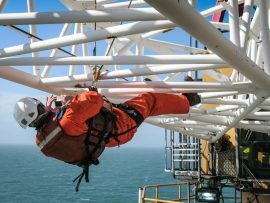 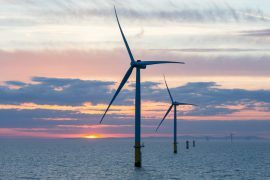 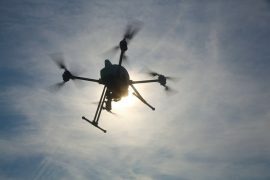 Innovate UK has awarded GBP 1.2 million to a consortium developing a surface inspection system for offshore wind turbines using drones. 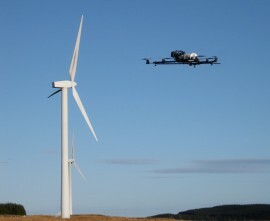 The consortium is led by Perceptual Robotics, a company based at the Bristol Robotics Laboratory (BRL), and Bristol University’s Visual Information Lab, who have partnered with ASV Global and VulcanUAV for the project. 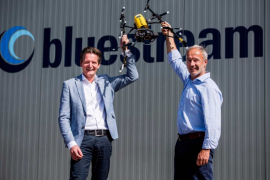 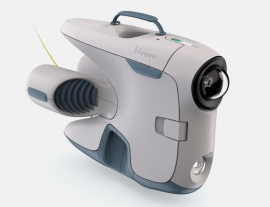 A Norwegian technology company, Blueye Robotics, has developed an underwater drone that allows offshore wind companies to perform inspection of underwater structures and power cables without the need for divers or remotely operated vehicles. 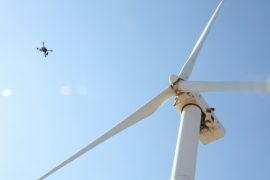 Cyberhawk Innovations, an aerial inspection and survey company using drones for wind turbine inspection, has reported a strong growth of its wind division in 2016, due to increased demand from domestic and international markets.